David Sargent joined WER in 1986 and was named CEO in 2006. 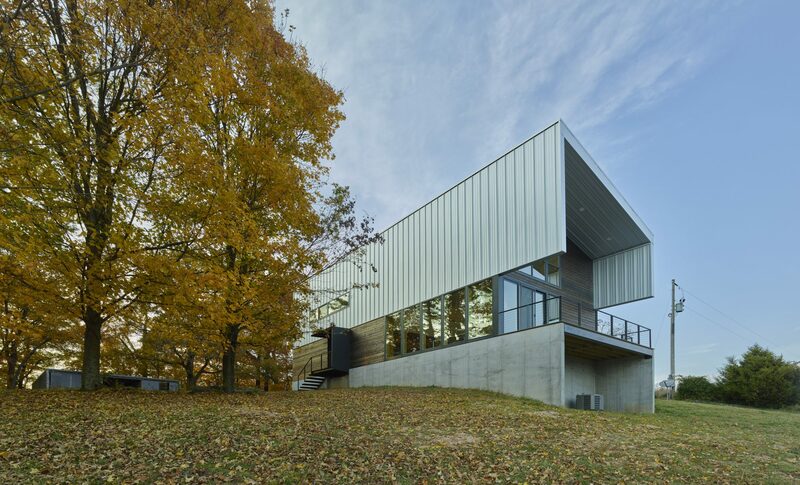 Many of his projects have received design awards, including a National AIA Design Award for the Clinton Presidential Center, which WER was a part of the local team. In addition to leading the firm’s overall design, Sargent mentors younger staff members and builds on client and industry relationships. Sargent is a member of the American Institute of Architects and has his LEED AP credential from the U.S. Green Building Council. WER projects include the Richard Sheppard Arnold United States Courthouse, the Episcopal Collegiate Campus, the Jack Stephens Center at the University of Arkansas at Little Rock and the Southwest Power Pool Corporate Campus. Design, like most things, goes through trends. What was or is the most unfortunate, in your view, design trend? If you are referring to style, I don’t think there are unfortunate trends. I think all styles have their place and time. But probably the most unfortunate trend was in the ‘70s and ‘80s when architecture was all about the look of the exterior and did not place premiums on solar orientation and energy efficiency. It was short-term thinking — a “man conquers nature” type of mentality. Energy was relatively cheap and just not a major consideration. We have finally turned that page and architecture overall is better for it. How has the job market for architects changed since the Great Recession? The recession hit our industry hard. There are just fewer projects to go around. The private-sector work really slowed down, leaving mainly publicly funded and medical work. And the trend is not just local or regional, but national. We now see a lot of out-of-state, larger firms coming to Arkansas to solicit work. What have been some of your favorite projects, either that you personally worked on or from the firm overall? We always enjoy working on projects where we learn about new things happening in our state. Recently, projects like Conway High School are fun because we were able to design a 21st century learning environment, where projects like the Southwest Power Pool Corporate Campus or UALR Center for Integrative Nanotechnology Sciences are exciting because we get to learn about the amazing things they do and create spaces that facilitate that work. When a space functions as the client envisioned, we have succeeded. What are some of the top trends that you’re seeing in the architecture marketplace? Although some still consider sustainability a trend, our belief is it is not going away. Ten years ago, it was such a buzzword, and we are seeing everyday that sustainable options are becoming more available. Our firm takes a sustainable approach to all of our projects, whether we are seeking LEED certification or not. We believe sustainable design not only is good for the planet but also helps our clients’ bottom line. There have also been exciting changes in the past few decades regarding learning environments. Facilities are becoming more transparent between learning areas, and the four wall boundaries of the classroom are being eroded and even engaging the community in hands-on learning. It is exciting to create spaces that promote this type of learning environment and support our children’s educational success. Is there a building design feature that everyone wants now? Not in what you typically think of as a feature. What everyone wants in his environment, be it working, learning or playing, is function, comfort and day-lighting. Providing functionality that makes tasks and learning more productive, and doing it in an environment that lifts the spirit and connects with the world outside, is what we all are striving for. We can never forget that although it is important how a building looks from the outside, how someone feels about being in it is critical to the people using it every day.